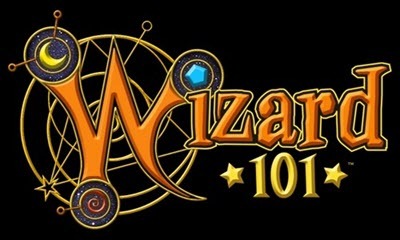 MMORPG Games Like Wizard101 '+g+"
Wizard101 is an free to play adventure MMORPG that features collectable magic cards, wizard duels, collect and train pets, fights against other players (PvP), magical spells, fishing, crafting and much more. By creating your own wizard you can explore different fantasy worlds, battle powerful monsters and save Wizard City. If you like playing more fantasy adventure MMORPG games like Wizard101 then check the below list of similar games and don't forget to mention if we miss any games as we keep on updating this list. Pirate101 is a free to play Pirate adventure MMO from kingsisle the makers of wizard 101 where the kids get to play cool pirates in a world with flying ships, board game combat and many far off worlds with lots of quests and many treasures to be found. Club Penguin is a massively multiplayer online game (MMO) involving a virtual world containing a range of online games and activities, created by New Horizon Interactive. Players use cartoon penguin avatars and play in a winter-set virtual world. RuneScape is a free Java-based fantasy MMORPG game developed and published by British developer Jagex Ltd. The game is set in a medieval fantasy world of Gielinor with full of magic, mystery and adventure with a never-ending gameplay the players can explore the world, make new friends, fight with other players (pvp), slay dragons, battle with mythical creatures and gods. Monkey Quest as the name suggests is a monkey-centric MMO game where you can create your own monkey, choose any one of 5 available tribes, explore the world, make/meet new friends, go for shopping, play games and set for new quests. The game is mainly aimed at kids and was developed by Nickelodeon Virtual Worlds Group. MapleStory is a free-to-play side-scrolling MMORPG where you can explore the Maple world with your character meeting friends, hunting monsters, defeating bosses, developing your skills and status and much more. Atlantica Online,....if you can think of more similar games then don't forget to mention them in comments.